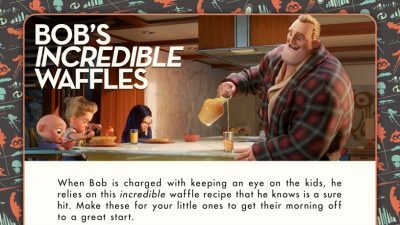 Download Bob’s Incredible Waffles recipe courtesy of Disney Pixar Incredibles 2. Bob relies on this Incredible Waffles recipe, when he is taking care of the kids in the morning. 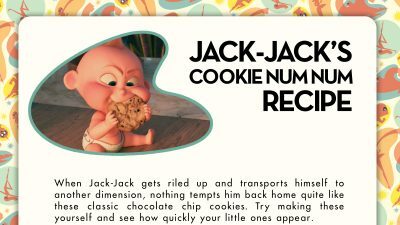 Download the Disney Incredibles 2 chocolate chip cookie recipe.I love chocolate chip cookies and they are even more delicious when they are Incredibles cookies! Jack Jack likes them, of course, and so do we. 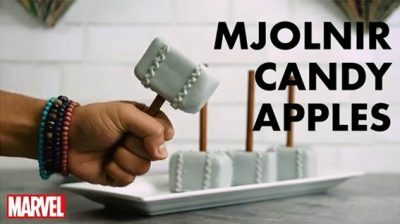 Click HERE to download the recipe to print or just save to your computer. Here’s a fun dessert featuring chocolate cookies and fresh fruit. 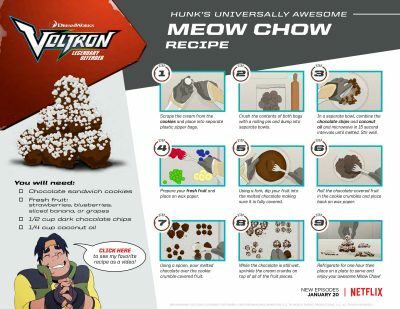 This would be great for a Voltron themed party or even just as a snack while your kids are watching the show on Netflix. Click HERE to download the recipes to print or save to your computer. 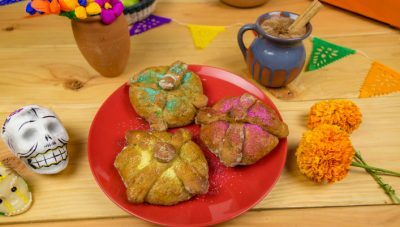 Themed food always makes birthday parties (and a regular family dinner) a whole lot of fun. 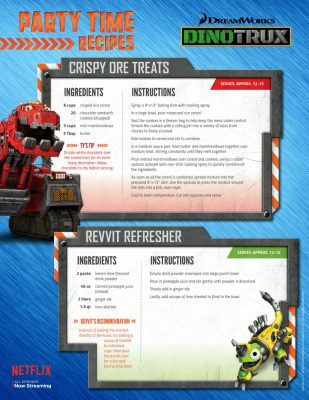 Try out these Dinotrux recipes for Crispy Ore Treats and Revvit Refresher drinks.